Remember when Tarkin and Vader called Leia's bluff about Dantooine, and unleashed the technological terror on Alderaan? Remember Leia whimpering, "Nooo..." Remember how Obi Wan reacted aboard the Millennium Falcon? You know the scene by heart. 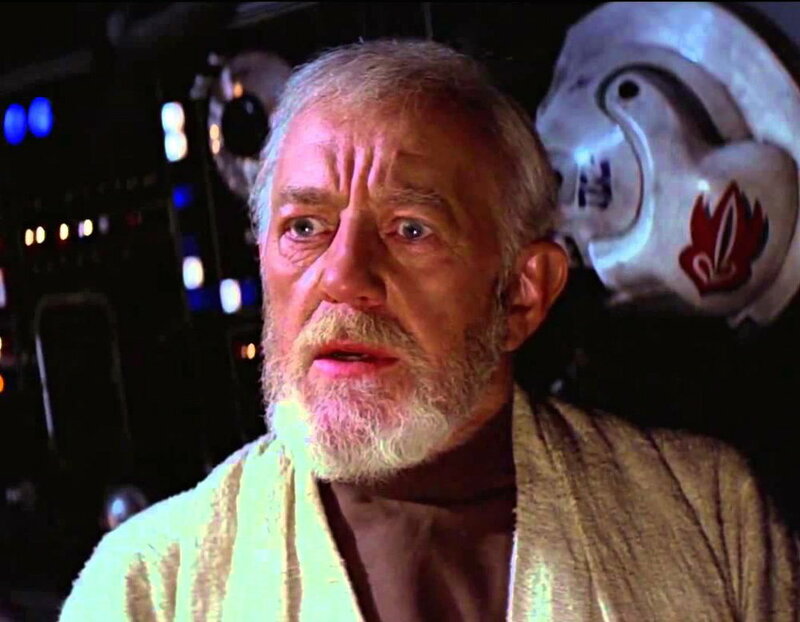 He clutches his chest, falls backwards into his seat and proclaims, "I felt a great disturbance in the Force, as if millions of voices suddenly cried out in terror and were suddenly silenced." Got that pictured in your mind? Good. Hold onto that image - the sadness, the disbelief, the uncertainty of the future - and read on... With a mere week to go before the worldwide release of Star Wars:The Force Awakens, the USW team has been working overtime to keep up with the latest news, reviews, interviews, and anything else that ended in "ews." Been producing a podcast, a YouTube video, and writing blog posts, the time to sit back and be a fan has been pushed to the margins - which is why I've been looking forward to TFA with great anticipation. It seems like a long time ago, in a Southern California town far, far away, we attended Celebration and soaked in the sweet nectar of unbridled Star Wars fandom. As the months passed, our frequent RPG sessions began to take a backseat to this crazy adventure, and before we knew it, a theatrical trailer took place during a Monday Night Football game. That night, we surfed-in just ahead of the digital tsunami and subsequent meltdown on Fandango, and were able to score tickets to opening night in IMAX. Those tickets have been kept in the safe, alongside my Will, car titles, and a 3.75" Boba Fett that actually fires a missile. To say that I was looking forward to the evening of December 17 would be an understatement. Now, take a hyperspace jump to last evening, when I arrived home and was greeted by my lovely bride and kid #2. As the room was filled with the sounds of Pandora's Classic Christmas channel, and the smell of homemade somethin'-or-'nother wafted throughout the air, my wife broke the news to me as gently as she could: My daughter's school holiday performance had just been scheduled for (say it with me) December 17. December 17! December f*ing 17! And so, I grabbed at my chest, and fell backwards into a chair a la Obi Wan. The difference, of course, is that my voice was the only one crying out in terror. Well, that, and I wasn't barreling through space, about to run into the remnants of a destroyed planet. My wife was great (as she always is), and had attempted to cushion the blow with, "You should still go to your movie, I'll just taking grandma to the performance. It'll be fine." I never truly considered that to be an option - and not because of a hidden desire to a martyr. Sure, I was saddened, and friends called me crazy ("She'll never remember if you were there, or not! "), but I knew my decision was the right decision. How? Because I heard Obi Wan's voice once more, telling me, "You must do what you feel is right, of course..."